"Old Market District" for over 29 years! Billy Froggs caters to all age groups. 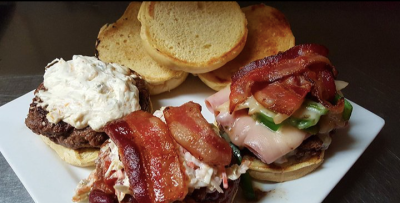 If you and the family are visiting the old market or attending a local event, we offer a great food selection. If you are in town for a business meeting, bring your co-workers and investors for a few drinks and appetizers. Local college student? When the sun goes down, we are known to be one of the best college bars in town. Bring some friends and enjoy our famous "Pond Scum" or one of our other signature pitchers. Filled to the top with liquor and juices, these tasty pitchers have been a crowd favorite for many years. Do you have a birthday or engagment to celebrate? 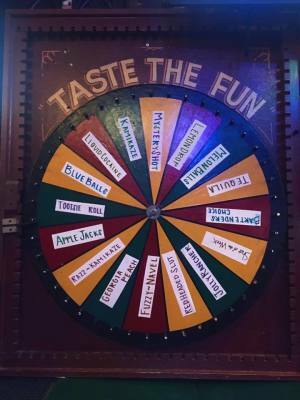 Visit Billy Froggs and give the wheel a spin! Loaded with all the fun shots at a special price. One Round, One Spin, ALL THE FUN! Billy Froggs is available for private events and group parties. Limited catering available. Copyright © All Rights Reserved. Created by Top Shelf Strategies.